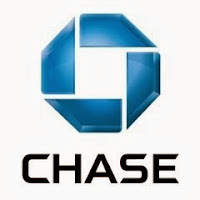 Chase is my second favorite bank after USAA. I recently found out that Chase Bank will waive all credit card fees, late fees, and all other fees for Military members on Active Duty. It is very easy to apply and their customer service is excellent from my past experience. Call Chase Military Banking at 1-877-469-0110. This is a Military only line and takes calls 24/7. Awesome! Tell them you are Active Military. They will ask you to send them proof like a copy of your orders. Send them your information via fax or email. Enjoy FEE FREE service. I have the IHG Priority Club Credit Card and the $49 annual fee was reimbursed immediately once they verified military status. They also have their Military Banking that waives all checking and savings account fees. We're dedicated to supporting our members of the military and are pleased to let you know that your account is eligible for benefits under the Servicemembers Civil Relief Act. All fees and interest charges on your account balance will be recalculated form the date provided on your official documentation. You will receive a credit for any necessary adjustments on your upcoming statement. Thank you for doing business with Chase. We thank you and your family for your service to our country and hope these benefits provide you with added peace of mind during this time. Did you open your IHG Priority Club Credit Card before you entered active duty? I've been reading that people have had mixed results with Chase on this. All credit cards qualify for SCRA. Lines of credit only qualify if you purchased before entering active duty. IT mainly helps Reservist or guardsmen. Call USAA and they will explain it to you. Most credit card companies will refund you fees and charges starting back to the day you entered service. I am proof of this as I received refund checks and account credit as well. For Chase this only works if you open your credit card with them prior to joining the military... or had a break in service and got back in. It's not for those who got a chase card after already joining active duty. It is very backwards, in my opinion. USAA is different.